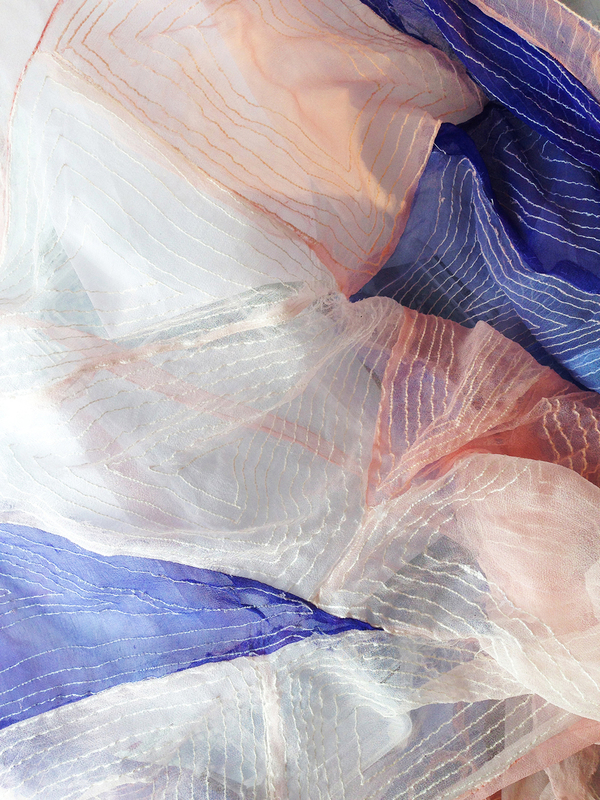 Commissions and made to order using traditional processes such as hand printing, hand dyeing and couture sewing. Web dress and wing dress - Produced for the Futuristic Textile Lab Spin Explore. This raw woven silk robe is made in collaboration with Kevin Lee Light 'Hollywood Jesus', to be worn in the streets of Los Angeles. Dress worn by opera singer Tina Grey at "Oscilloscope", a sell-out concert by London Contemporary Voices at the Union Chapel, featuring Nitin Sawnhey, Imogen Heap, Manu Delago, Guy Sigsworth and LaQualia. 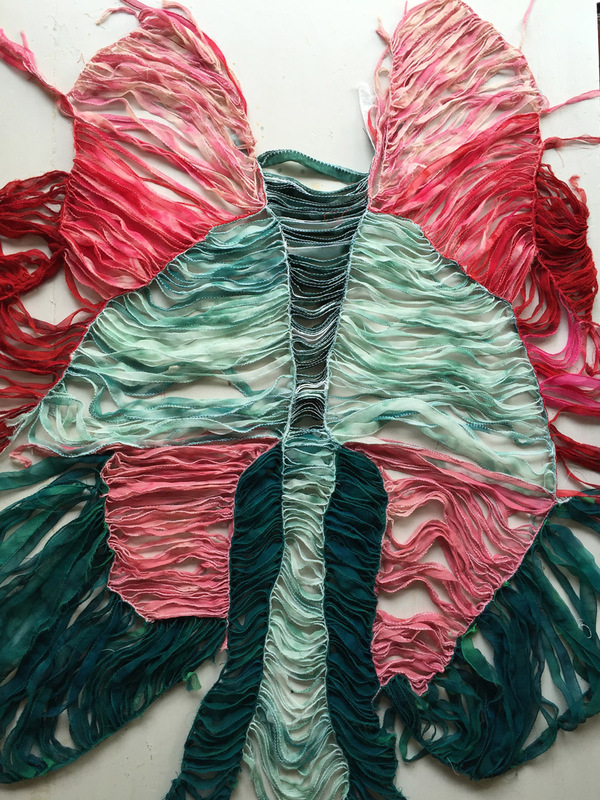 Bird Dress (far right) requested for inclusion in this Miami exhibition by curator Judith Clark. 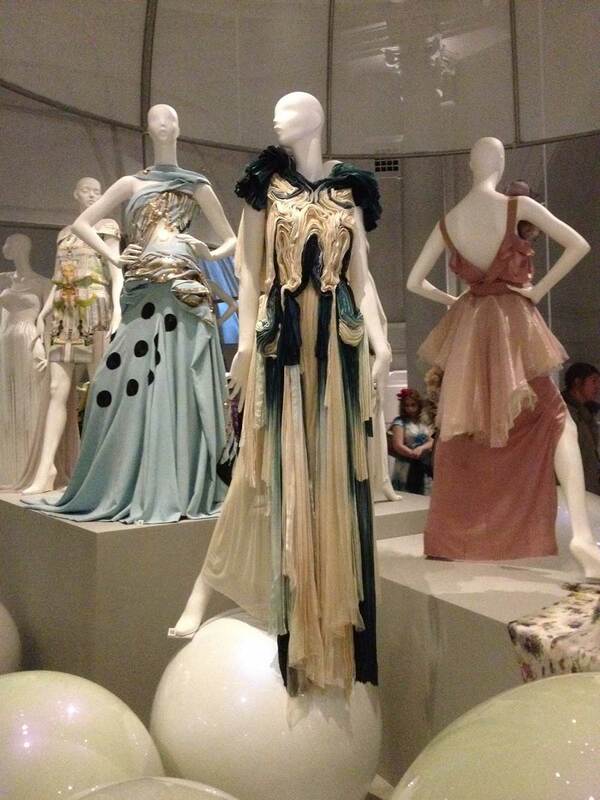 A five piece collective, the 'Bird dress' exhibited alongside, Jean Coucteau, Schiaparelli, Leon Bakst for the Ballet Russe and the Chalayan 'Electric dress'. This exhibit had a fantastic feature in the New York Times 'High End Culture', exploring line that blurs Art and Fashion. A collaboration with Kevin Lee Light, designing his robes. This Rainbow Robe was made for LA Gay Pride 2015. 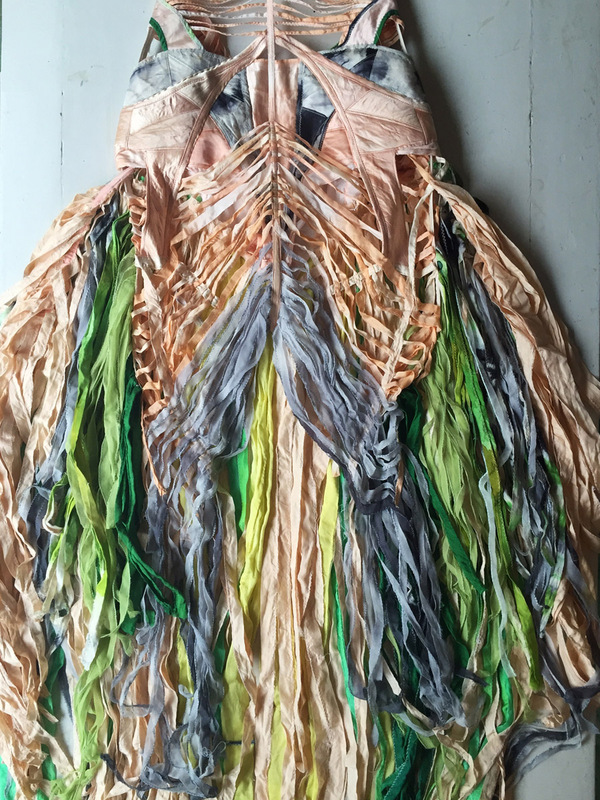 Dress commissioned by Judith Clark for the opening of a permanent exhibition at the Simone Handbag Museum in Seoul, South Korea. Commissioned by Investec Bank to create a dress for Erin O'Connor to wear to the 2011 Derby.